Enjoy the delightful visuals that make the experience very immersive. 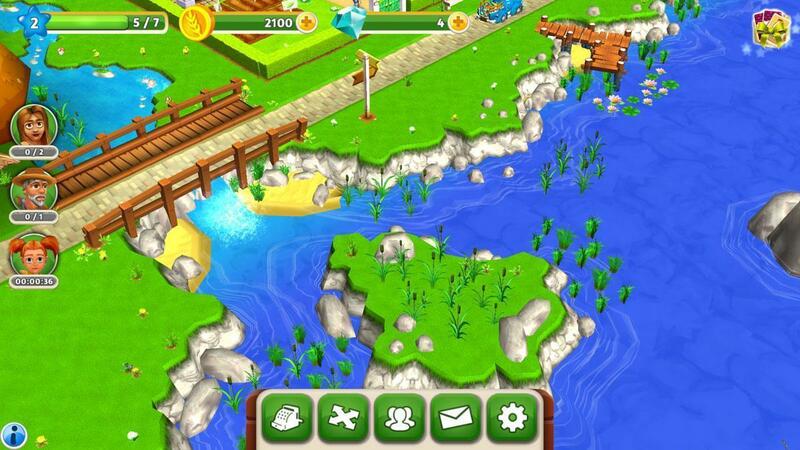 My Free Farm 2 is a very exciting farm game that isn’t afraid to take the leap towards the future and implement new things that are sure to elevate the farming genre to new heights. Most farming games tend to stick to the tried and true formula that’s been popular for many years since it leads to some pretty decent games but this one changes a few things in it that make the experience refreshing and engaging. Like the case is with most modern day farming games, My Free Farm 2 comes with an interactive and in-depth tutorial sequence that’s been built to make sure that newcomers understand all the basics of the game. The tutorial spans itself across roughly the first ten minutes of gameplay but the best part about it is that it’s completely optional so if you’ve had prior experience with farming games then you can skip it entirely to save a pretty significant amount of time. As you can tell from its name My Free Farm 2 is a sequel to the original My Free Farm which was quite solid when it came to gameplay. This one draws a lot of inspiration from its predecessor in terms of how it plays but it also improves on its fundamentals in various different ways and makes the experience quite enjoyable overall. 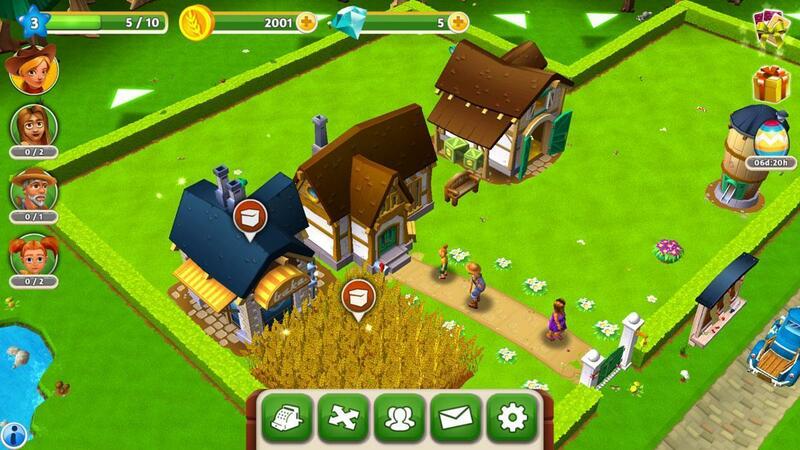 The game utilizes a very well designed task system to keep players busy at all times. It constantly makes sure that players always have some kind of objective to complete and this helps gives them a sense of direction which is actually quite important in a farming game. Variety is also important in farming games and My Free Farm 2 offers quite a lot of it. There are multitudes of different structures to construct, each with a different use. There are lots of different kinds of crops that you’ll get to plant and overall this is definitely one of the better quality farming games available when it comes to variety. It’s also immaculate on a technical level since there are hardly any bugs or glitches in it that might hinder the experience in any way. Onto its graphics, My Free Farm 2 some very crisp visuals that are an absolute delight to look at. The colors are bright, the structures are highly detailed, the crops look great and there’s just a whole lot of eye candy to enjoy. On top of this there’s also the fact that the game has lots of special 3D effects and animations that enhance the experience to a completely new level. The game’s free to play but has various different micro-transactions that you can go through to get your hands on various kinds of in-game stuff like currency and such. 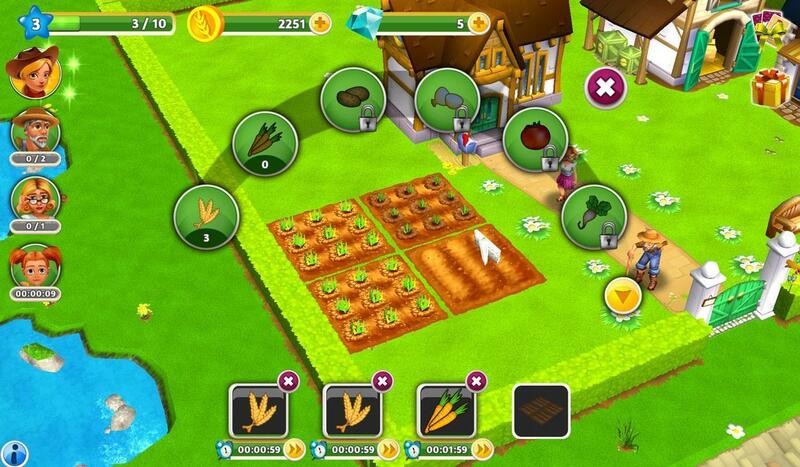 My Free Farm 2 is an exciting farming game that improves on its predecessor in multiple different ways and makes for a very enjoyable experience.